A woman is ‘shaken’ after she was threatened by thieves who broke into her house in Rugby and stole gold jewellery last night (Tuesday, April 18). Three men forced their way through a door into a house, located on a side street off Hawlands in the Brownsover area, at approximately 7.30pm. The resident, a woman in her 60s, was sitting in her lounge when she heard a bang and went to investigate, thinking the noise was made by her husband. She found the men had smashed the bottom panel of her UPVC front door and they pushed her back into the lounge, shouting at her to know where her gold was. The intruders disabled the telephone before ransacking the home and leaving with gold jewellery stashed in a pillowcase and cash. 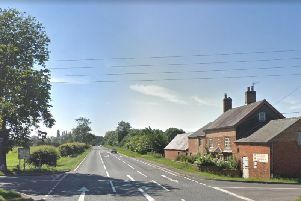 An investigation is underway and people are being urged to come forward if they spotted a blue car leaving this area at speed at the relevant time and date. Detective Sergeant Kirsty Clough said: “This was a frightening incident for the victim, who has not been injured but is understandably shaken. “I would like to reassure the community that a thorough investigation is underway and increased patrols are being conducted in the area. “We are pursuing a number of lines of enquiry in order to identify the offenders. “A blue car was seen to leave the address at approximately 7.45pm. Anyone with information is asked to call police on 101, quoting incident number 388 of April 18.